Oh good. Tina Neal herself dropped by today (I think she did some of the early ones, but she’s been understandably busy). Here’s my transcript of this morning’s 11AM media briefing with USGS, NHS, NPS. Tina Neal, HVO: Good morning, everyone. 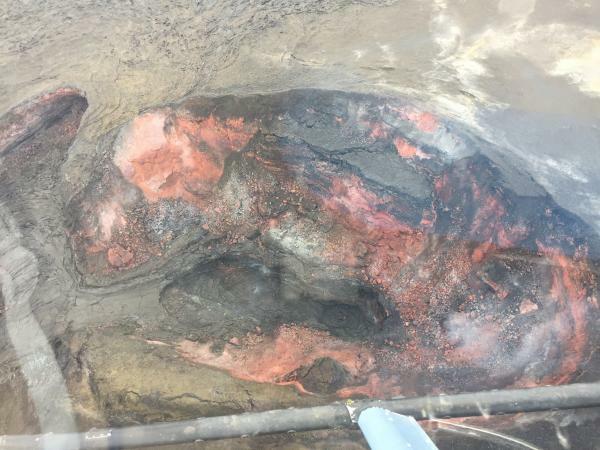 Just to give you an update on what’s going on at Kilauea Volcano. In the Lower East Rift Zone, the effusive eruption of lava continues with little significant change from the last few days. The Fissure 8 spatter cone continues to produce a pretty vigorous river of lava in an open channel that heads to the northeast and then turns southeast, then enters the ocean about 8 miles downflow. 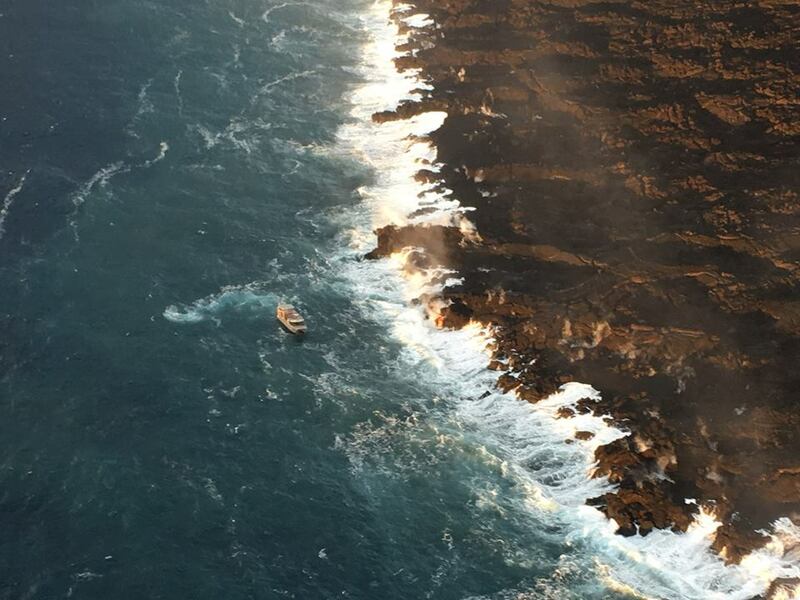 One of the interesting things observed by our field crews during the overflight this morning is that the channel system in the lower portion of this lava flow where it ends up into the ocean has gone through some changes. And this is an interesting phenomenon, reorganization, that we’re trying to understand. It appears at times that the channel is very vigorous all the way to the ocean, and at other times it sort of diminishes and just becomes a broad, rubbly front. As of this morning, the channel was mostly on the southern side of the flow, and the margin of the flow is expanding a little bit to the south. So there’s some very interesting channel dynamics going on in this lava flow in the lower portion that really doesn’t [act??] its behavior as it spreads out and enters the ocean. 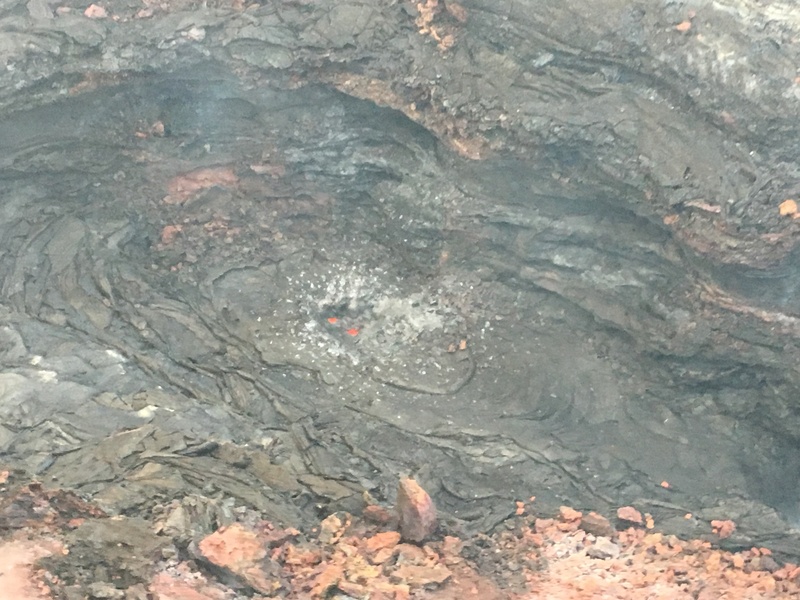 Today marked the ten-year anniversary of the opening of the “Overlook Vent” lava lake within Halemaʻumaʻu Crater at the summit of Kīlauea Volcano. 2008 and 2018 views of the “Overlook vent” lava lake within Halema’uma’u Crater. Today marks the 10th anniversary of the eruption within Halema‘uma‘u at the summit of Kīlauea Volcano. When thevent first opened on March 19, 2008, it formed a small pit about 115 feet (35 m) wide. 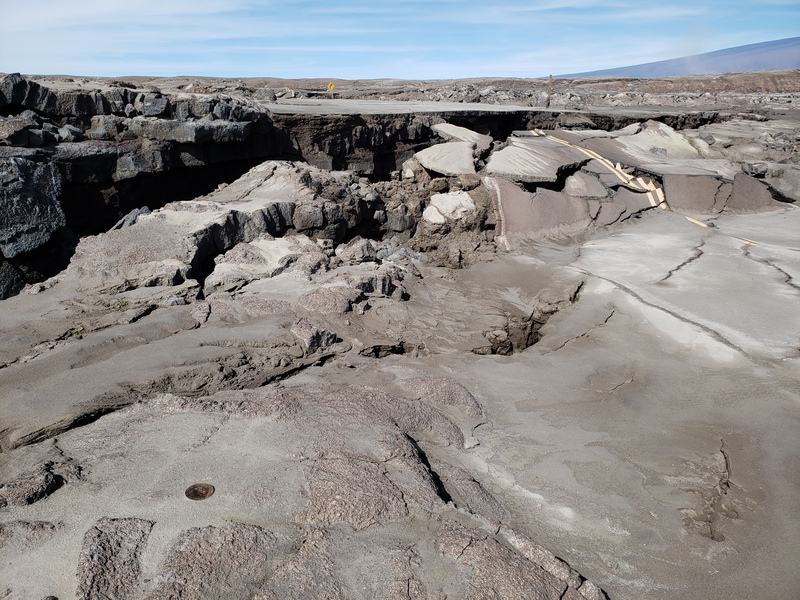 Over the past decade, that pit (informally called the “Overlook crater”) has grown into a gaping hole about 919 feet by 656 feet (280 x 200 m) in size. Click on the above webcam images to watch the growth of Overlook crater over the past 10 years. At the time, there was no summit livestream. Webcams were plenty to keep up with the day-to-day fluctuations. Dr. Matt Patrick (USGS) reviews the ten year history of the overlook vent lava lake. Around 8:55 the camera pans around to show the entire lake and other parts of Halemaʻumaʻu Crater. These are some of the last views of it prior to changes in May 2018. Wind noise makes him a little hard to hear. The USGS also posted this video on their own multimedia library. Since their server sometimes times out, let me include the transcript below.